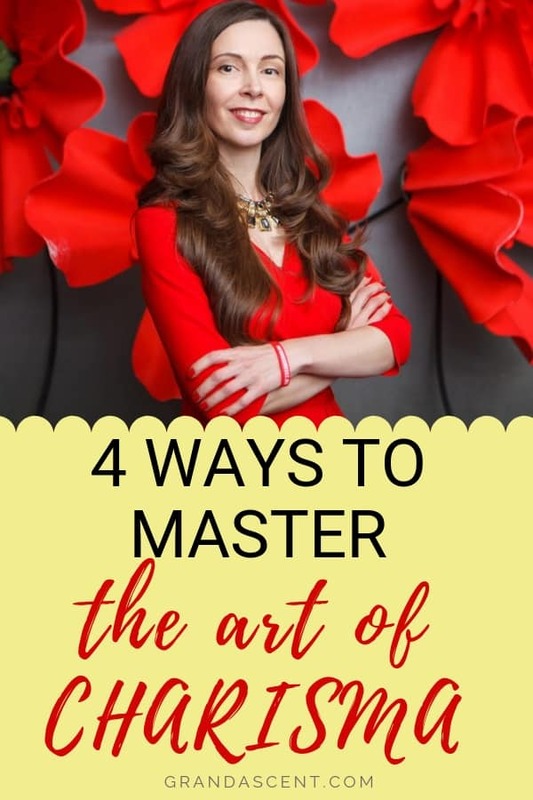 Mastering charisma is one of the most important things that you can do for your personal, social, and business life! When you master charisma, interacting with other people becomes enjoyable, rewarding, and easy. It opens up a whole new world of opportunities and favorable outcomes. Being liked means that you get along with other people. Your chances of offending others is lessened by how you behave around others and the way you make them feel. Although some would argue that popularity should be left in high school, being a liked person can get one far in life. People who are liked have a magnetism that draws other people to them. If you are used to being greeted with smiles and warmth, then you are probably a charismatic person whom other people enjoy being around. On the other hand, for those of us who have the social skills of a shy person who cowers away, becoming likable won’t be easy. When you are liked at work, your coworkers ( and boss) are likely to give great references and pull through for you when you need it. Forming relationships at work is important for a company flow properly. Likability doesn’t necessarily mean agreeableness, but is important in order to cultivate friendships in the work to place. There are particular traits that likable people tend to have, such as straightforwardness and a genuine disposition. Perhaps you are struggling with social skills at your job, making it difficult to get on well with some people. Maybe you’re a natural introvert. Even if you are, the good news is that this is easily fixable. Social behavior can be learned and when executed successfully, you’ll see that your life may change for the better. Here are 4 trademarks of magnetic people and how to become one yourself. Most times, when extroverted people are around, they tend to lighten up a room with vivaciousness. Even if being the center of attention isn’t your cup of tea, you can still become likable by engaging in meaningful conversation. Many people who are popular dislike small talk. Instead of beating around the bush, you can make an impact on anyone that you meet by that isn’t about you. Showing interest means that you care about what the other person has to say. By listening, you may even discover common interests and goals. Someone who is liked often knows that other people like talking about themselves. By showing passion for their life, you engage them and begin a new friendship. No one likes when others talk abut themselves all the time, but asking questions that display genuine interest will make an impact on them. Actively listening involves paying attention to body language as well as verbal cues. Likable people have mastered the art of both. This is how many are able to successfully discuss new ideas while also giving out their own opinions about life. We all have a tendency to judge people, whether it’s on a subconscious level or not. People are drawn to others by many factors. It could be the clothes that you wear, how you carry yourself, or even something out of your control, like your looks. Since our judgements tend to be transparent, it isn’t always so easy to judge correctly, because as we all know, you can’t judge a book by it’s cover. Likable people are liked for a reason- they have the ability to put people at ease and change the atmosphere for the better. In other words, they allow people to let their guard down and not feel judged. The feeling of being judged makes for an uncomfortable situation that no one likes to be part of that. Create an environment that discerns people based on analytical attributes, such as their work ethic or timeliness. Not creating judgement based on emotion is a skill to master if you want to attract people to your amazing presence. Keep in mind that their are dynamics in personalities. Everyone in the world isn’t going to like you for whatever reason and that’s completely normal. If you have a coworker who thinks that you rub him or her the wrong way no matter how nice you are, simply sum it up to clashes in personality. Likable people are able to bounce back from not being liked, which can be blamed on their tendency to not take life so seriously. Nature has already proved that balance works best in most situations. If you are too extroverted, then this can be a problem in creating intimacy or trust. On the other hand, if you are too shy or introverted, then this can create a source of miscommunication. People should be able to trust you and come to you when their is something that needs to be done. Being dependable creates a sense of trust that extends into your career and personal life. The ability to affect people and not get too personal is a common trait among liked people. This is especially important when it comes to forming relationships with coworkers. It’s OK to be real with the people whom you engage with at work, but you might not want them to know about your entire personal life as this makes for a very uncomfortable situation at work. However, striking the delicate balance between being personal without going overboard will allow you to master your social skills and not be perceived as stand offish. You know how it makes you feel when someone you love forgets about your birthday or anniversary. You may not be too mad, but if they tend to forget every year, then resentment can build up. Likable people remember important dates. Often times, they know how important it is that the people they care about remember their important dates, so they make a point to celebrate important events of people around them. Don’t exhaust yourself or become annoying. Instead, remember the things that people do you for you and try to reciprocate. When you value the time that you spend with other people by remembering them, it will prove difficult for them to forget you. Charisma is all about how you make others feel around you, positively. Even if you aren’t a naturally outgoing person, it isn’t necessary to be the life of the party. Likable people go through life effortlessly. It’s easy to listen, remember and make people feel warm and welcome. With the least mount of effort, you too can live a more positive, open life surrounded by people who love to be around you. Please tell us what you think. Was there ever a time that you didn’t feel liked? What are some of the things that you do to ensure that people around you are put at ease. We want to hear from you!